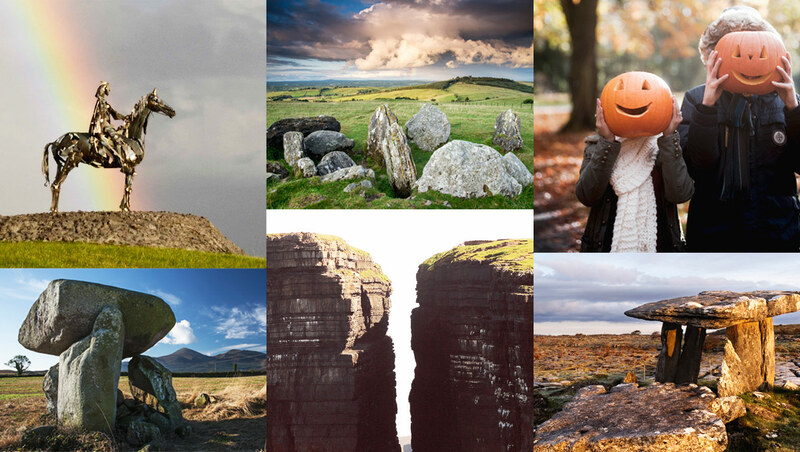 Delve into some incredible stories on a mythical journey around the island of Ireland, from giant fights to little bearded men! 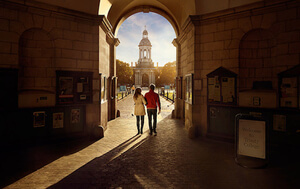 Ireland – a place of stories, of adventures, of heroes and battles. 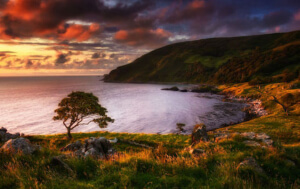 Ireland’s myths reach back thousands of years, back to the age of the Celts. Yet still today they whisper through forests, adding mystery to some of the island’s most beautiful landscapes. Everything exists, everything is true, and the earth is only a little dust under our feet. Rooted to the land, these tales are filled with epic characters that send the imagination soaring. 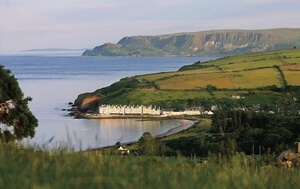 Take a leap onto the incredible Giant's Causeway, created when Fionn mac Cumhaill (Finn McCool) and the Scottish giant Benandonner dramatically fought each other. 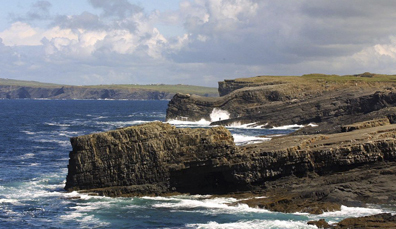 Let your emotions take over at dramatic Lovers’ Leap along Loop Head in County Clare. 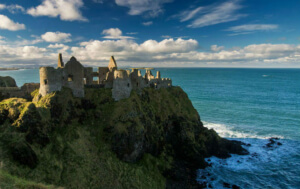 It’s here the mythical lovers Diarmuid and Gráinne jumped to safety after being pursued by an enemy army. And be wowed by the ancient Lia Fáil, Ireland’s Stone of Destiny, at the Hill of Tara in County Meath. It’s thought to have been brought back from the underworld by the god-like Tuatha Dé Danann… legend has it that the stone shouted out when the true High King of Ireland touched it. The origins of Halloween are from the festival of Samhain in Ireland’s Celtic Past. At Samhain the division between this world and the otherworld was at its thinnest, allowing spirits to pass through. A rich folklore also infuses Ireland’s Neolithic and Early Christian sites. Look at Oweynagat – or the Cave of the Cats – in County Roscommon. This deep hole topped by a large stone was once thought to be an opening to the otherworld. Then there’s the 40,000 ring forts or raths that dot the landscape – ancient structures that over the years came to be associated in folklore as home to the fairies. Dolmens (ancient megalithic structures) also feature strongly in Irish myths, with many being known as Diarmuid and Gráinne’s bed, or as graves for famous heroes. Beneath the veneer of Christianity, superstitions remain. Of course, many of Ireland’s myths have made it worldwide, the leprechaun (little bearded man) being the most well known of them all. But this strange world of fantasy creatures is also peppered with banshees (female spirit who wails when someone is about to die), and púcas (spirit shape-changers). 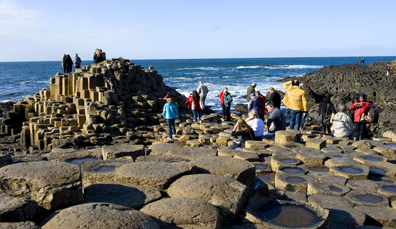 One of the most impressive sights on the island of Ireland, the Giant’s Causeway also has an incredible backstory. 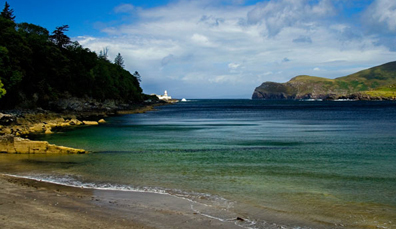 This stunning part of the island is filled with natural wonders, but it’s also home to some wonderful myths and legends. Rich in history and storytelling traditions, Ireland’s islands are incredible places to discover myths and legends.